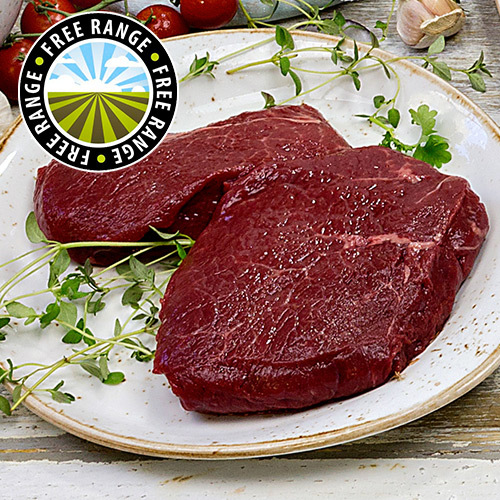 These triple tenderised Sirloin Steaks come from British & Irish farms, matured for a delicious 21 days and pack a high 38.6g protein per serving. 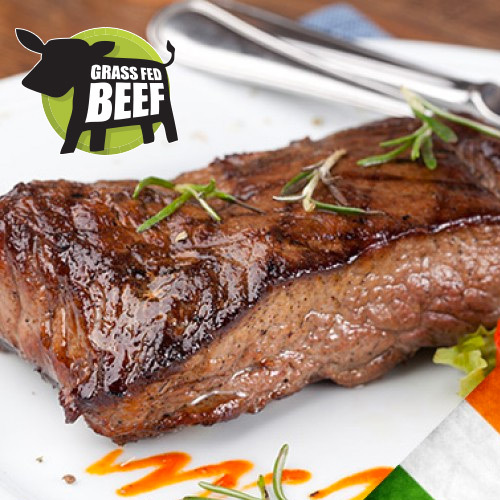 You can be certain that these mouth-watering steaks are the ultimate taste satisfaction. 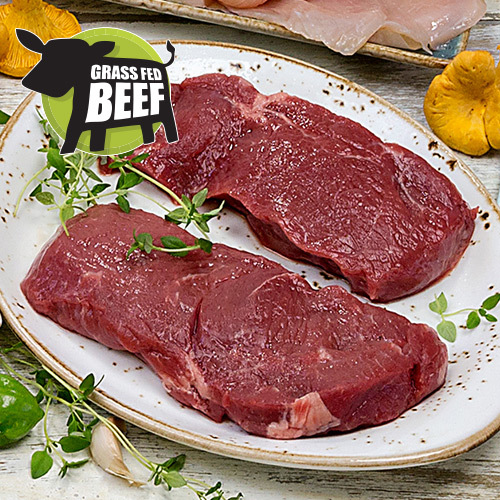 Grass fed, free range and bursting with beefy brilliance – our super succulent British and Irish Rump Steaks are one heck of a meaty treat you don’t want to miss! 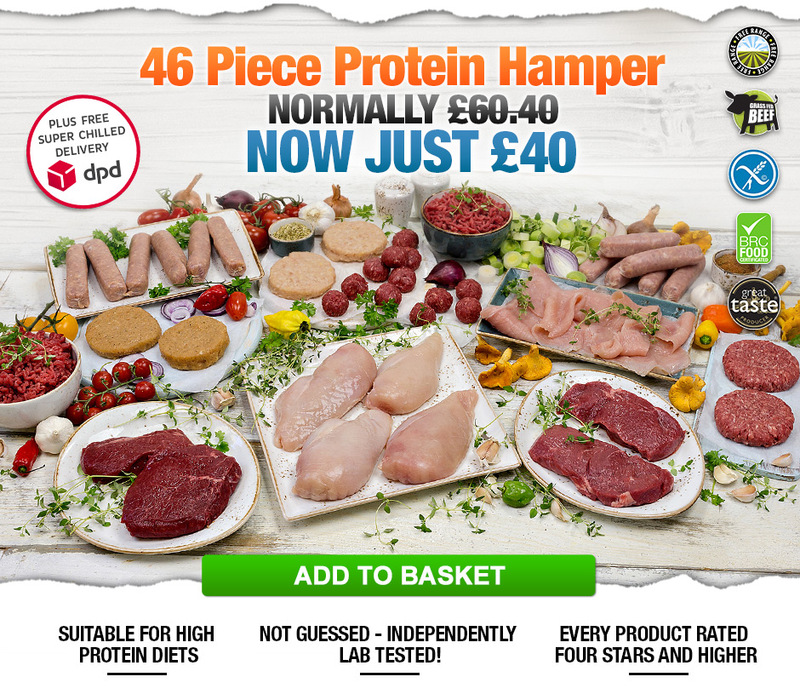 With each 6-7oz serving you're guaranteed a juicy 39.3g muscle building Protein hit with a low 5.1g fat. 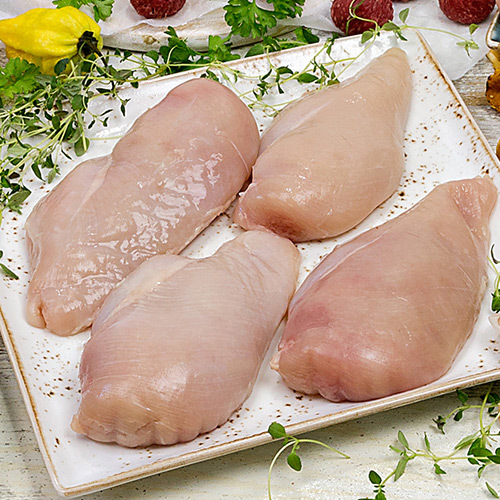 Unbelievably succulent and super juicy, we guarantee that these premium Chicken Breast Fillets have no added salt, water or any other rubbish. 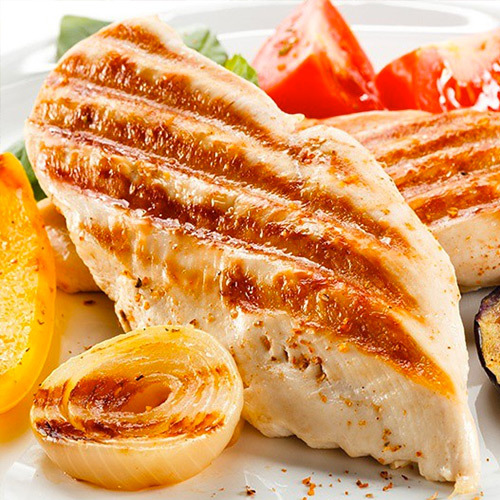 Our EXTRA lean chicken breast fillets have been hand trimmed to extra lean perfection by our pro butchers. 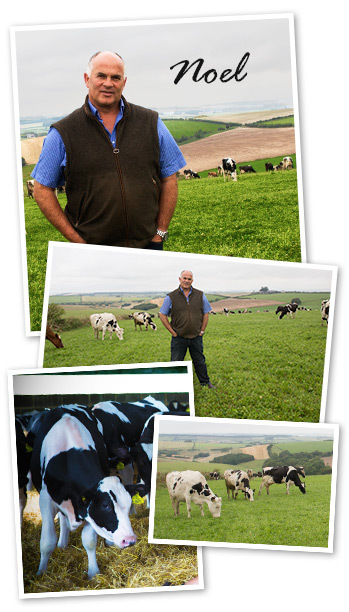 You're getting the VERY best quality beef with LESS fat.. Oh yes! 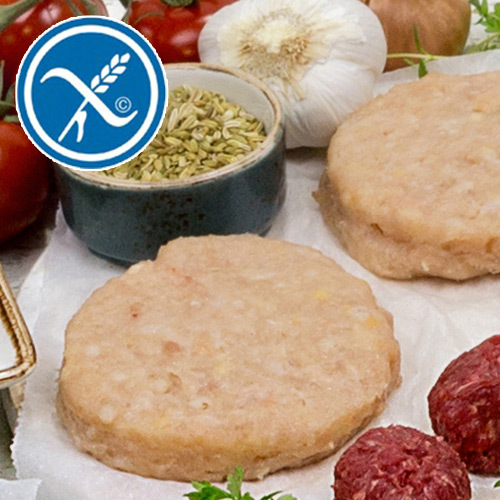 PLUS, each mouth watering, succulent Wagyu Lean™ burger not only gives you taste buds a delicious treat, but also packs a whopping +20g of protein! 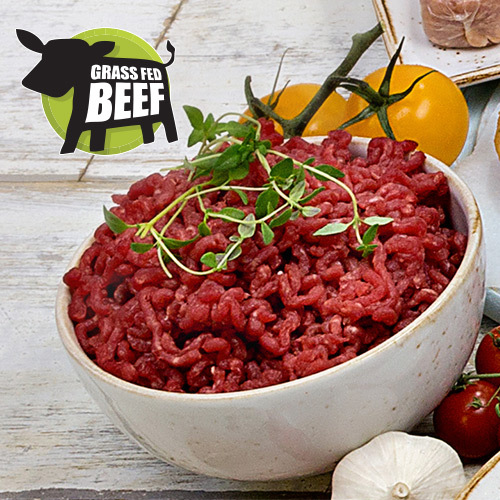 With a teeny tiny 4.2% fat per 100g, our British Beef Mince is EXTRA lean, low in fat and minced FRESH to order from our Free Range, Hormone Free and 100% British steak trimmings. 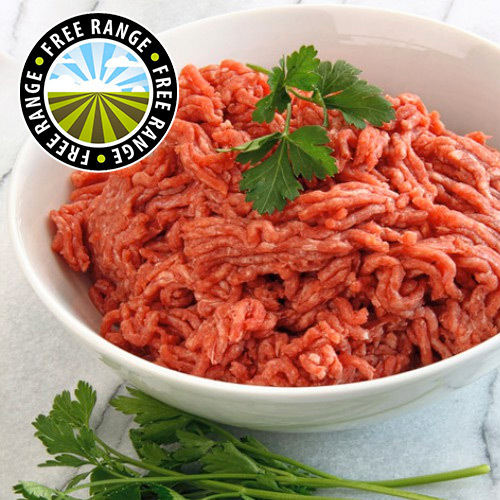 Full of BIG juicy flavour, low in fat and 17.2g of luscious lean protein, these perfectly plump Gluten Free Pulled Pork Sausages make for a succulently guilt-free addition to any meal. 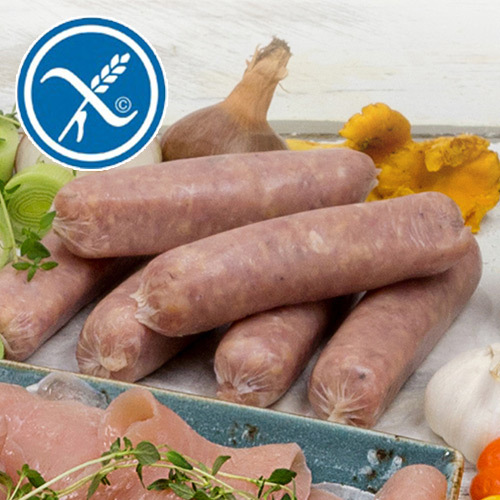 We've even included your favourite Gluten Free, LOW FAT British Pork Sausages. 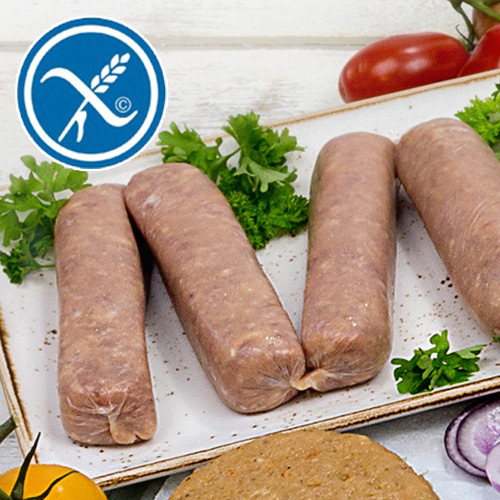 These 100% guilt-free pork sausages contain LESS than 1g fat and are seasoned to blissful perfection by our fabulous butchers. 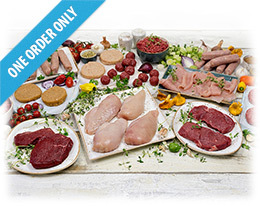 ATTENTION CARNIVORES! 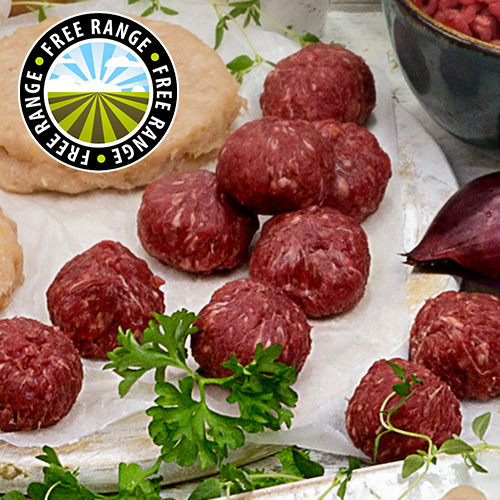 Meat perfection is waiting for you… High in protein and unbeatable flavour - introducing our brand new Wagyu Beef Meatballs. 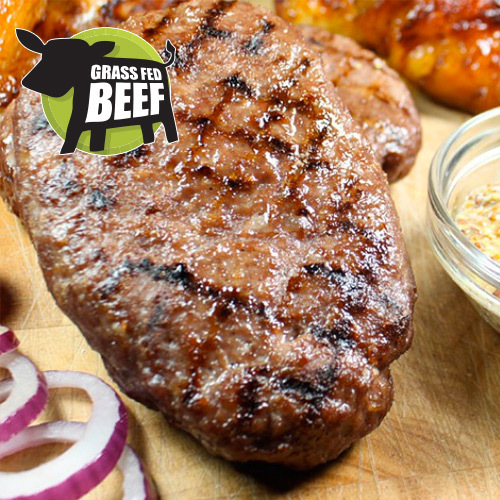 Delivering a powerful protein punch like any of our succulent steaks, you get a high 18.2g per serving! 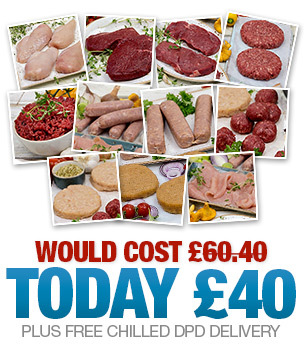 With 14.3g Protein these superb rashers have all the flavour of regular bacon - just without the fat. 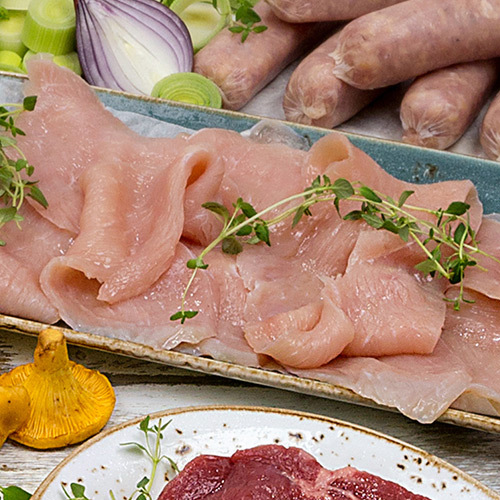 Made from nothing but sliced 100% succulent turkey breast. 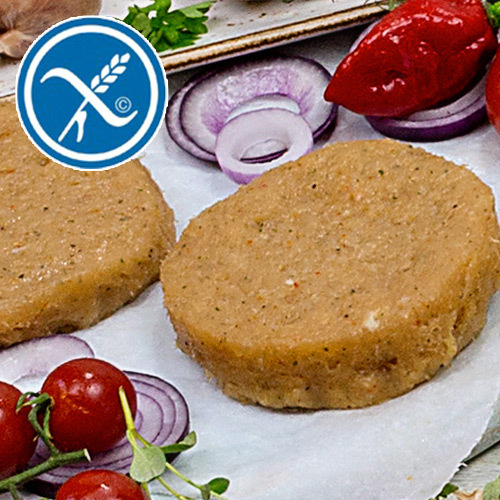 You will LOVE these super succulent Gluten Free Chicken Burgers, with just 1.7g of fat and 21g of protein per burger. They even come with NO artificial flavourings, colours, sweeteners or flavour enhancers. 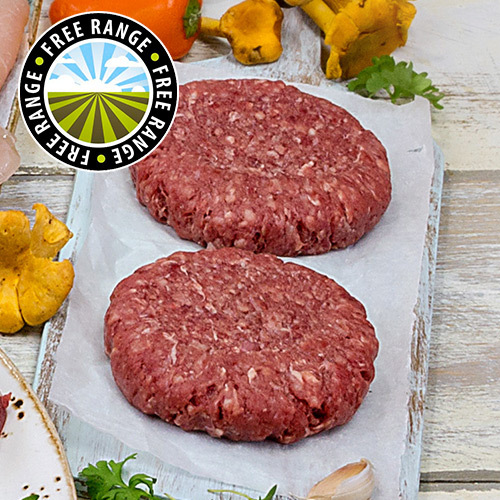 Spicy, juicy and seriously flavoursome, our gluten free Sweet Chilli Chicken Burgers not only taste immense but they contains a massive 22g of all natural protein and a tiny 1.1g of fat - perfect for your slimming diet.